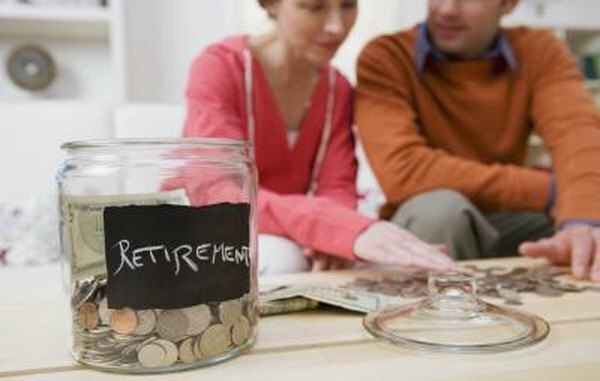 See what taxes your retirement money might involve. 1. How Much Is the IRA Taxed When Distributed? 2. What Is a FICA Alternate Retirement Plan? 3. Are IRA Accounts ERISA Qualified? FICA is the term for taxes collected under the Federal Insurance Contributions Act, created in 1935 to collect money for Social Security. It still does that, but now also collects taxes for Medicare and unemployment insurance. FICA is assessed on all earned income, from wages, salary or self-employment. Employers generally deduct FICA from pay, while self-employed individuals file a special return for those taxes. Money taken out of traditional individual retirement accounts or IRAs is considered taxable income, but is not subject to FICA because those funds are contributed after FICA has been deducted by an employer or paid through self-employment tax. Earnings on traditional IRAs from interest, dividends or investments also are not subject to FICA. A Roth IRA falls under the same general rules as a traditional IRA except that withdrawals from contributions aren't taxable. Earnings from a Roth may be subject to income tax, but no withdrawals are subject to FICA if those taxes were taken out by an employer. Any Roth contributions that did not have FICA withholding may be subject to FICA taxes. Simplified Employee Pension or SEP IRAs are funded by employers, who contribute a percentage of an employee's pay and take a tax deduction as a business expense. If SEP contributions are made under a salary reduction arrangement, they are subject to FICA at that time, and withdrawals will not be. However, any SEP contributions not made through salary reduction agreements are exempt when they are made, so IRA distributions may require FICA taxes. A Simple Incentive Match Plan for Employees, SIMPLE is another employer-sponsored IRA program, to which both employers and employees contribute. Employee contributions under a salary reduction plan are subject to FICA, but employer contributions are not. This sets up another division when withdrawals are made because only the employee portion is subject to FICA.